Even though we like to mostly think about the better weather ahead of us, we've still had several rainy days these past few weeks. Now that the summer weather is here at least those rainy days can be warm. After several rainy days last week, the boys were feeling a little cooped up and in need of something different. 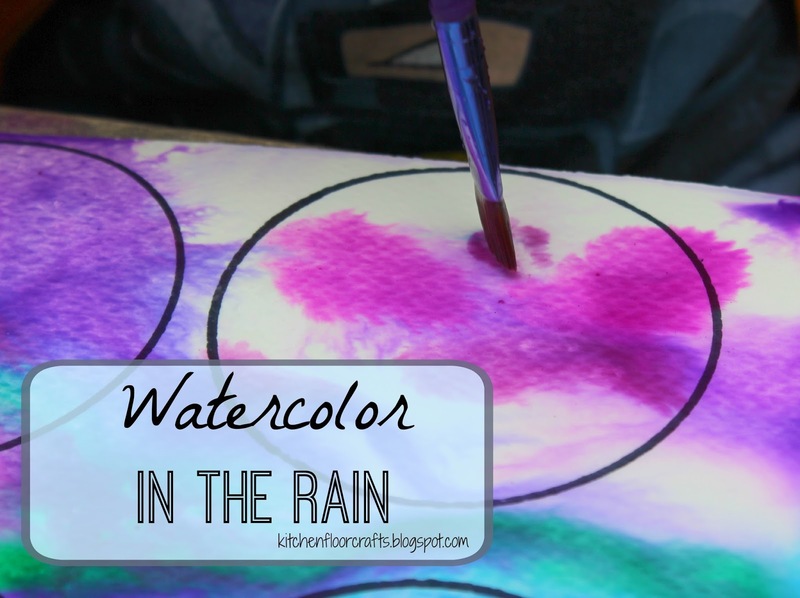 This lead us to watercoloring in the rain! For this activity, I used our liquid watercolors as it wouldn't matter if they got wetter. I set the liquid watercolors up in a miniature muffin tin and set out several paintbrushes. We also used true watercolor paper, which is really thick. This way it wouldn't fall apart as it got wet (however, this activity could still work with regular drawing paper too.) 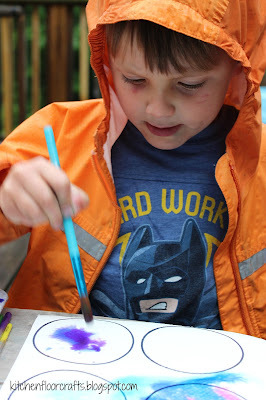 I had thought we might use the finished pieces to create something else, so I also added circles with permanent marker. However in the end we just had fun with the experience. The boys got on their rain jackets and headed outside. 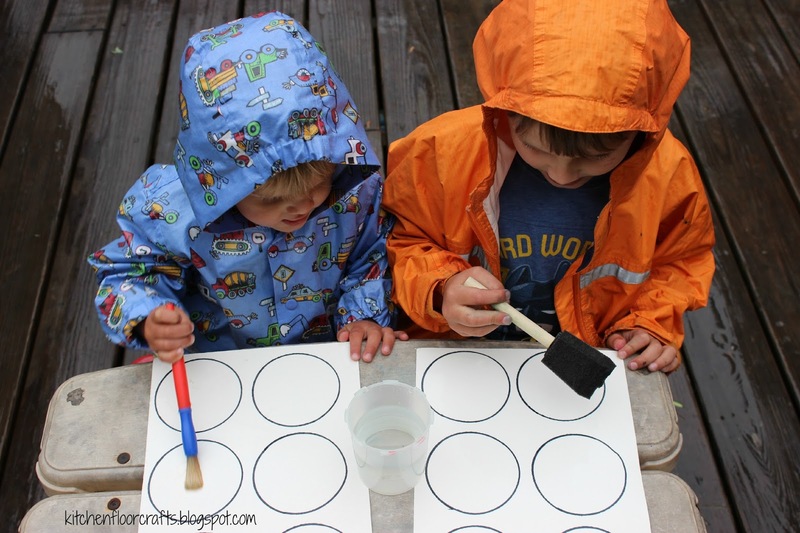 First we made sure the paper was wet, by adding a little water to the paper. (Even though it continued to get wet as it rained.) This would help the watercolor spread. Next the boys started to watercolor onto the paper. They were amazed with how quickly the paint spread across the paper. 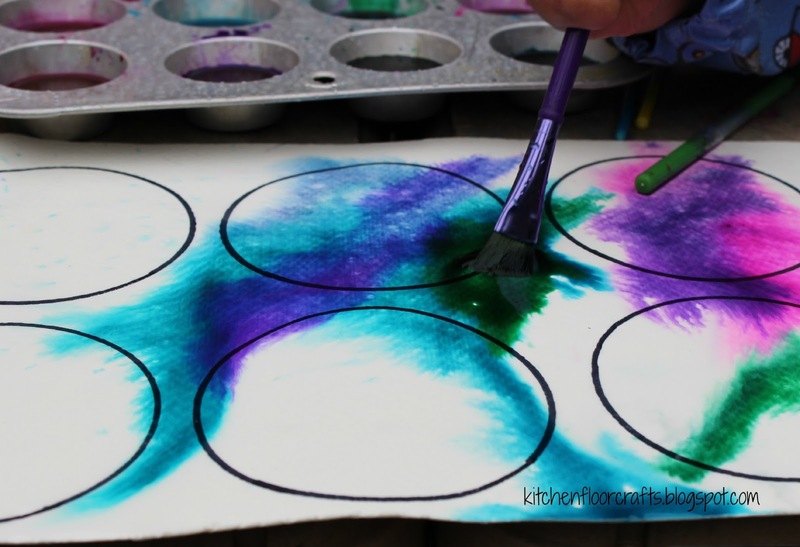 They experimented with mixing different colors and blending the colors onto the papers. 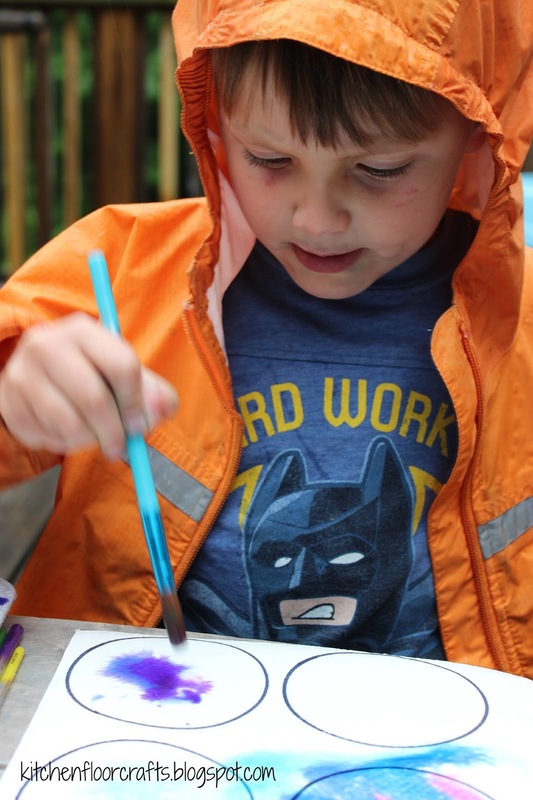 The more it rained the more the paint mixed. 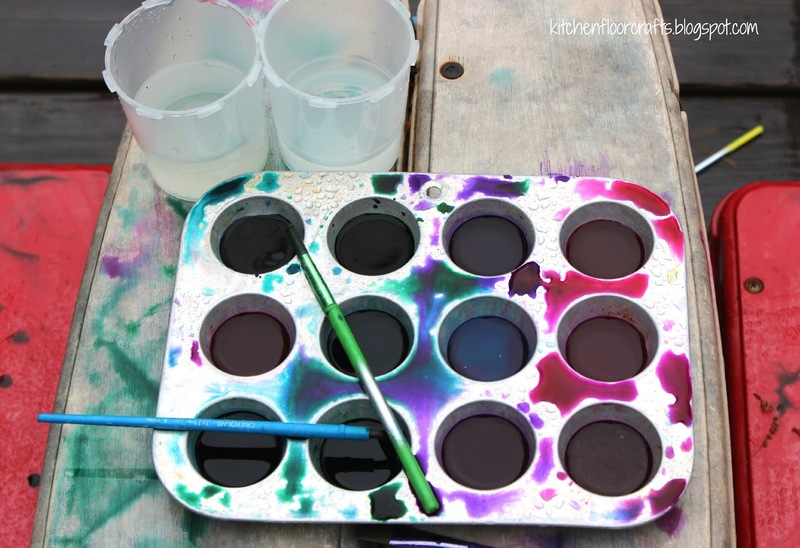 They filled several sheets with paint. 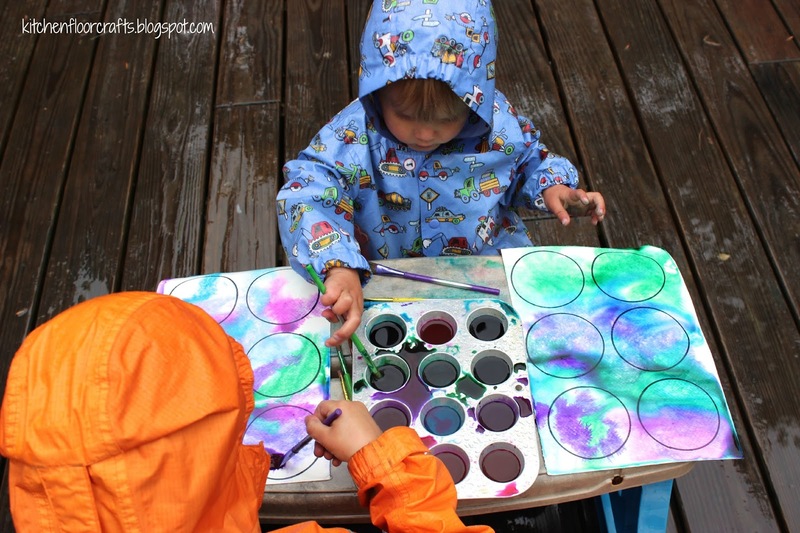 And although the colors were beautiful, the best part was that for the most part the mess was left outside and washed away in the rain! Ooh, it came out looking so pretty! 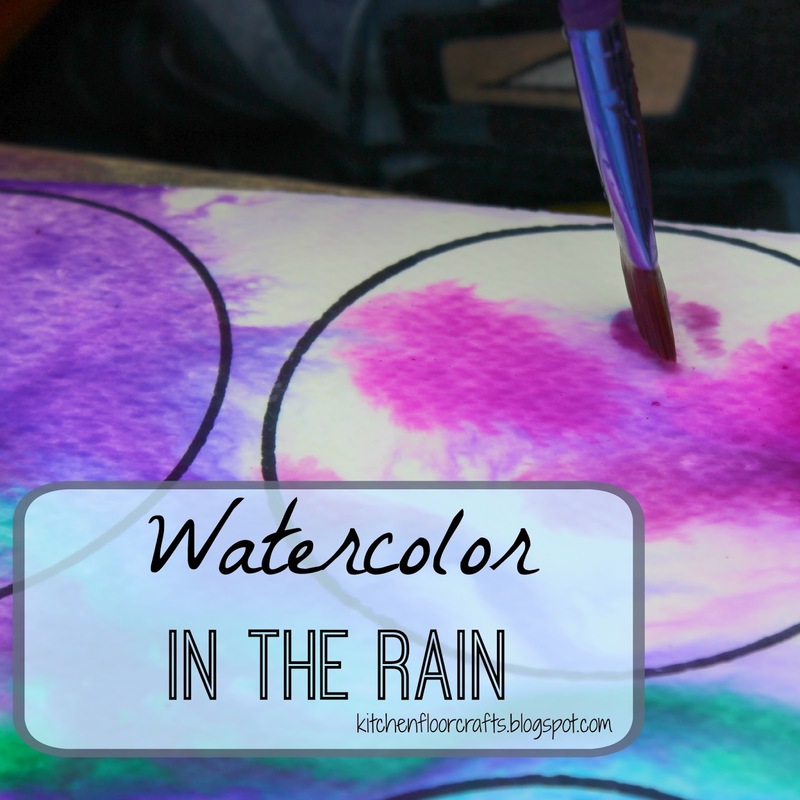 What a fun idea for a rainy day! 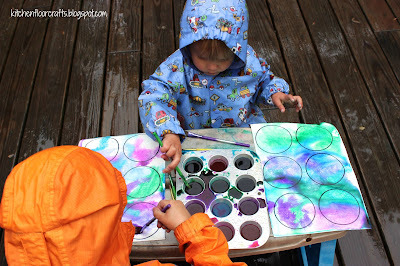 What a pretty activity for a rainy day! We may need to try this this weekend; we are getting plenty of rain right now!